Dry skin on dogs is frustrating for dogs and owners alike. There are many potential causes for dry skin, which can make diagnosing skin conditions in dogs tricky. If dry, itchy, or flaky skin is making your dog uncomfortable, here is what you need to know about the causes, symptoms, and best treatment options for your pet. What Causes Dry Skin on Dogs? ​Dry skin might not seem like a big deal, but it can actually be a sign of a much larger problem in your dog. Dry skin is a symptom associated with a wide range of conditions, from allergies and parasites to serious medical disorders like Cushing’s disease and hypothyroidism. Some dogs are allergic to flea saliva. Dogs get allergies just like people do. Food allergies, and environmental allergies and seasonal allergies, such as pollen, dust, feathers, grass, animal dander, grain, and flea saliva can cause a host of symptoms in dogs that often include dry skin. If left untreated, these allergies can result in a skin condition called atopic dermatitis, which causes dry skin, itching, redness, and inflammation and can also lead to secondary skin infections. Flea allergy dermatitis, which is an allergic reaction to flea saliva, is the most common skin disorder in American dogs. The best way to avoid flea allergy dermatitis is to keep your dog and home free of fleas and to talk to your veterinarian about treatment options for your dog’s allergies. Parsites are another potential cause of dry skin on dogs. 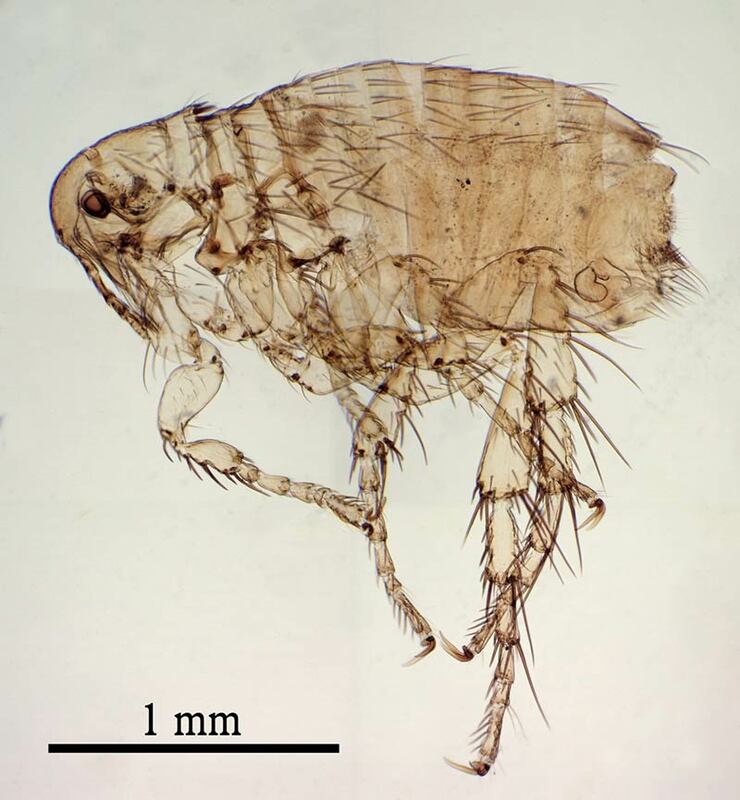 Dry, flaky skin can be a sign of parasites that cause mange, such as the Demodex mite, canine scabies, and cheyletiellosis (Walking Dandruff), or it could indicate that your dog has lice. Diagnosing parasites that cause dry skin on dogs requires a trip to the veterinarian. Your family vet may refer you to a specialist in veterinary dermatology if he feels that your pet requires the attention of a specialist. 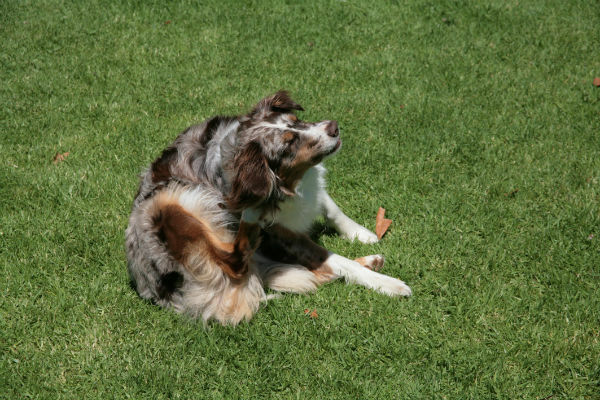 Bacterial and fungal infections can cause a variety of skin-related symptoms in dogs. Veterinarians usually diagnose canine skin infections by taking skin scrapes for cytology. These infections are sometimes secondary to a larger problem, which is why dry skin should always be taken seriously. Some infections, such as the fungal infection Ringworm, are also transmissible to humans. Sometimes, dry skin is a sign of a much larger problem. The two main metabolic diseases associated with dry skin on dogs are Cushing’s disease and hypothyroidism. In both cases, dry skin is often accompanied by dry and brittle hair, hair loss, and skin infections, among other symptoms. Auto-immune diseases and cancer can also cause dry skin on dogs. These conditions are serious. Dry skin should not be taken lightly, so make sure you take your dog in to see your family veterinarian as soon as you notice symptoms of dry skin. Some breeds are more prone to skin conditions than others, especially when it comes to dry skin. Hairless breeds, such as the Xoloitzcuintli and the Chinese Crested, are prone to a variety of skin conditions, and Siberian Huskies, Alaskan Malamutes, and fast-growing large-breed puppies can get a condition called zinc-responsive dermatosis. Veterinarians can narrow down the possible causes of your dog’s dry skin. Sometimes dry skin is caused by environmental conditions such as cold weather and dry air, or by excessive bathing, harsh soaps, and poor nutrition. If you suspect that your dog’s dry skin is the result of nutritional deficiencies, environmental conditions or bathing habits, it is still a good idea to consult your veterinarian in order to rule out more serious conditions. Some dogs experience only one of these symptoms while others present with several. Keeping an eye on your dog’s symptoms can help your veterinarian diagnose the cause of your dog’s dry skin. Treatment of your dog’s dry skin depends on the cause, so the first step is a diagnosis. While the Internet is full of valuable resources about canine health, consulting your veterinarian is the best way to determine the cause of your dog’s skin problems. In some cases, dry skin might be a symptom of a larger cause, in which case your vet will treat both the dry skin and the condition. Demadex mange (secondary demodicosis) is often associated with Cushing’s disease, which means your vet will need to treat both the mange and Cushing’s. Treatments and testing for these diseases vary, but most can be controlled with medication. Treating allergies that cause dry skin on dogs can get tricky. For canine food allergies, your veterinarian might prescribe an elimination diet, as there is no reliable diagnostic test for diagnosing food allergens. The most common ingredients that cause food allergies in dogs are beef, soy, corn, wheat, dairy, chicken, and eggs. Usually, veterinarians use a combination of these treatment options to control canine allergies. Some factors, like excessive bathing, are easy to control. Purchasing a humidifier to use when the weather is cold and dry, using a veterinarian approved shampoo, and reducing the frequency of baths usually resolves dry skin on dogs, as long as those factors are the cause. Switching to a high-quality diet provides the necessary nutrients your dog needs for a healthy coat and skin, so talk with your veterinarian about a nutrition plan, along with any supplements, that he recommends. The best way to prevent dry skin in dogs is ensuring that your pet leads a happy, healthy life. Some skin conditions cannot be prevented, but by being a conscientious owner who regularly examine her dogs, you can catch your dog’s dry skin before it gets out of hand.